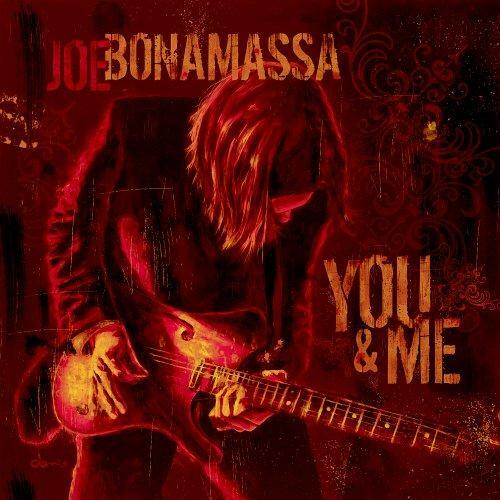 Joe Bonamassa - "You And Me"
JOE BONAMASSA is on his way into the hall of fame of internationally recognized Blues musicians. Blues-experts and -addicts all over the world respect and acknowledge the potential of JOE BONAMASSA. In 2004 as well as in 2005, the american Blues-genius had been elected by the world's leading Blues Ezine "BluesWax Magazine" to be the "Blues Artist Of The Year"; and his CD "Had To Cry Today" won the title "Blues Album Of The Year 2004" (same ezine). Joe usually plays with the best musicians and soon you'll be able to enjoy his music live as well as at home. In the end of March, he releases the CD "You And Me", containing 11 inspired Bluesrock tracks which combine "Big Rock" and Swampy Blues.